EU-Chile | "The Voice of the European Services Sectors in International Trade"
The Republic of Chile is a presidential republic. It is composed of fifteen administrative regions each headed by an intendant appointed by the president; regions are themselves divided into provinces headed by governors, also appointed by the president. Finally, provinces are composed of municipalities led by mayors. Chile is a pro-active country in concluding free trade agreements (FTAs). 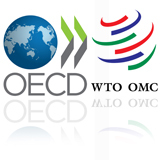 It has implemented 16 FTAs with: Canada, the United States, the Republic of Korea, the European Union, the European Free Trade Association (EFTA), China, Japan, together New Zealand-Singapore-Brunei Darussalam under the Trans-Pacific Strategic Economic Partnership, Panama, Australia, Turkey, Colombia-Mexico-Peru under the Pacific Alliance, Malaysia, the group of Central America which includes Costa Rico-El Salvador-Guatemala-Honduras-Nicaragua, Hong-Kong, and Vietnam. It has also concluded an FTA with Thailand and the Trans-Pacific Partnership (TPP) agreement. Finally, it is taking part to the Trade in Services Agreement (TiSA) negotiations. Chile is the 42nd largest economy in the world and generated a GDP of USD240, 216 billion in 2015. That year, the population reached almost 18 million of inhabitants. The World Bank Report on “Doing Business” is ranking Chile on the ease of doing business as number 48 out of 189 in 2015, showing that the country is on the way to becoming a major free market economy. With bilateral trade in goods amounting to €16.530 billion in 2015, Chile was the EU’s 38th largest trading partner while the EU was Chile’s 3rd largest trading partner accounting for €16, 197 million (14.4% of its total trade in goods with the world). When considering trade in services, it first needs to be highlighted that Chile’s economic share in services accounted for 61.6% of the country’s GDP in 2015 and 63.9% of the labour force in 2005. 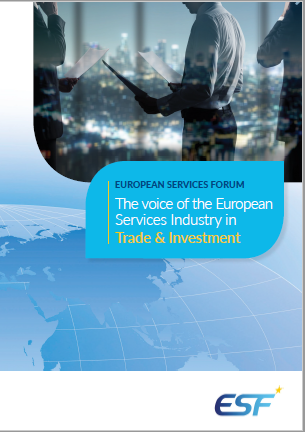 In 2014, bilateral trade in services between both partners amounted to €5 billion, with a surplus of €1.6 billion for the EU. The EU and Chile have signed a comprehensive trade agreement, which led to an increase in economic activity between the two countries. Thus, the European Union remains Chile’s greatest trading partner. EU exports of services to Chile amounted to 1,1 billion, in 2005. EU imports of services to Chile accounted for 2, 2 billion Euro, in 2005. The EU-Chile agreement goes beyond the WTO commitments, and covers all areas of the EU-Chilean trade relations. It includes goods, services and government procurement, liberalises investment and capital flows, and strengthens the protection of intellectual property rights. The FTA further provides for a progressive liberalisation of trade in agricultural goods and services.